Rita Hayworth | Take Back Halloween! Rita Hayworth (1918-1987) was born Margarita Carmen Cansino, the daughter of a professional flamenco dancer from Spain. Trained as a dancer herself, she started out in Hollywood doing bit parts. The studio dyed her hair red, changed her name, and transformed shy young Rita Cansino into Rita Hayworth, flame-haired femme fatale of the 40s. Her signature role was Gilda, in which she did amazing things in a black satin strapless gown. Independent studies have concluded that Rita Hayworth is so mesmerizing in that film that nobody has any idea what the movie is actually about. 1. Strapless gown in black satin. This evening gown is a great match for Gilda, with an asymmetrical gather at the waist. 2. Black evening gloves . These are 22 inches long, so they’ll come up all the way over your elbows. 3. Rita Hayworth wig . 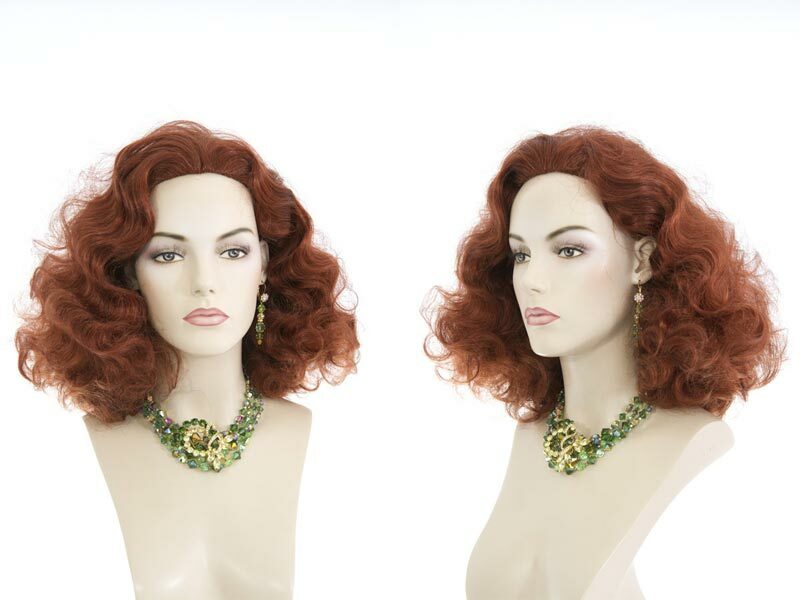 If you don’t already have Rita Hayworth hair, this wig will fix you up. 4. Costume cigarette holder . 5. 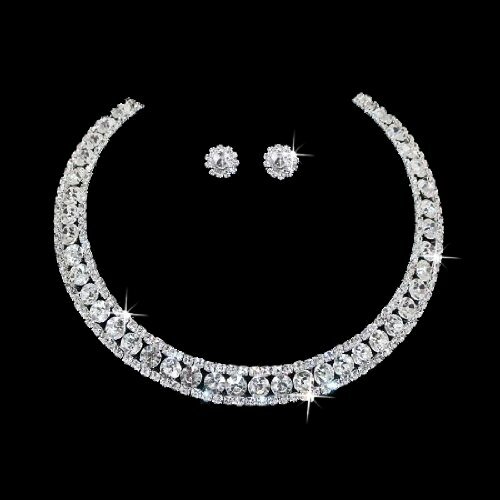 Rhinestone necklace and earring set . In Gilda, Rita wore a very simple round diamond necklace, which you can see in the picture below. This rhinestone necklace has the right shape and comes with matching earrings.